Schistosomiasis is a parasitic disease endemic to over 78 countries worldwide. It is estimated that 258 million people are infected with the disease and that it kills 280,000 people annually. Schistosomiasis is spread by freshwater snails that are infected by the parasitic flatworm, Schistosoma. The disease is spread to humans by contact with contaminated freshwater which is inhabited by snails carrying the parasite. Cercariae (larvae) emerge from the snails and swim in the water until they come into contact with a human host, penetrating their skin. Inside the body the cercariae develop into flatworms and reproduce, releasing eggs which are passed from the body in urine and faeces. If an infected individual defecates into a freshwater body, the eggs migrate to snails where they hatch, completing the life cycle. Symptoms of schistosomiasis include painful and bloody urine or diarrhoea, inflammation and scarring of the bladder, and enlargement of liver or spleen. If left untreated it can result in bladder cancer and in children it leads to anaemia, malnutrition and learning difficulties. The anthelmintic drug praziquantel is an effective form of treatment, however reinfection is common. Breaking the life cycle of Schistosoma, by providing access to treated water and improved sanitation, may prove instrumental in the eradication of schistosomiasis. The aim of this project is to inform the design of sustainable water infrastructure for endemic regions, by investigating the effectiveness of water treatment processes at removing or inactivating Schistosoma cercariae in water. Results from the laboratory will be scrutinised in the field in Tanzania and Ethiopia, capturing a wide range of water quality conditions. This will be facilitated by links established by the EPSRC Global Challenges Research Fund project ‘WISER: Water Infrastructure for Schistosomiasis Endemic Regions’ (EP/P028519/1). Lucinda is a chartered civil engineer who graduated from Imperial College London in 2012 with an MEng from the Department of Civil and Environmental Engineering. 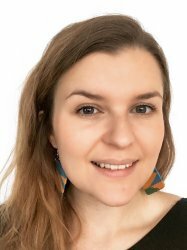 Having worked for a civil engineering consultancy for five years, she returned to the Department in 2017, joining the EPSRC Centre for Doctoral Training in Sustainable Civil Engineering as a PhD student, supervised by Dr Michael Templeton.